As governments meet at the UN to negotiate towards a historic Global Ocean Treaty, a groundbreaking study by leading marine biologists has mapped out how to protect over a third of the world’s oceans by 2030, a target that scientists say is crucial in order to safeguard wildlife and to help mitigate the impacts of climate change. ‘From climate change to ocean acidification, overfishing and pollution, our oceans are under threat like never before. We urgently need to protect at least a third of our oceans by 2030, and what’s so exciting about this research is that it shows that it is entirely possible to design and create a robust, planet-wide network of ocean sanctuaries. These wouldn’t just be lines drawn on a map, but a coherent, interconnected chain of protection encompassing wildlife hotspots, migration corridors and critical ecosystems. This is a blueprint for ocean protection that would safeguard the full spectrum of marine life, help tackle the crisis facing our oceans and enable their recovery. The report, 30×30: A Blueprint For Ocean Protection, is the result of a year-long collaboration between leading academics at the University of York, University of Oxford and Greenpeace. In one of the largest studies of its kind, researchers broke down the global oceans – which cover almost half the planet – into 25,000 squares of 100×100 km, and then mapped the distribution of 458 different conservation features, including wildlife, habitats and key oceanographic features. The researchers generated hundreds of scenarios for what a planet-wide network of ocean sanctuaries, free from harmful human activity, could look like. Negotiations at the UN towards a Global Ocean Treaty could pave the way for the protection of oceans outside of national borders, which cover 230 million square kilometres. This research explores what it would mean to fully protect 30% and 50% of the global oceans, both widely discussed ambitions for conservation targets. 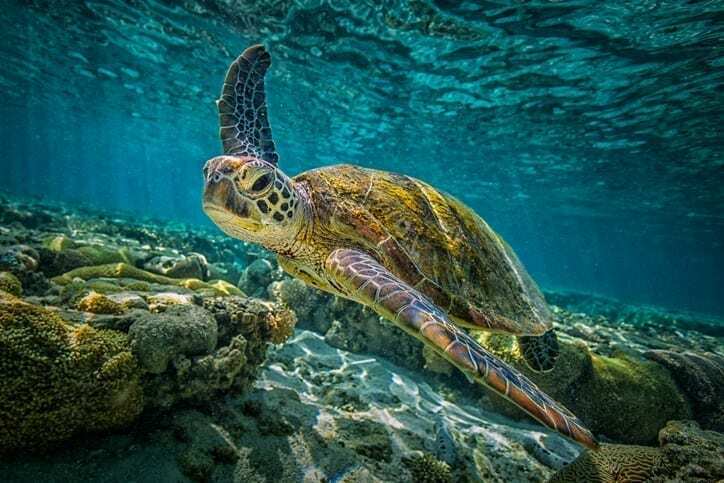 ‘Creating marine reserves is critical to protecting and conserving the diversity of marine life’, said Prof Alex Rogers, Visiting Professor, Department of Zoology, University of Oxford. Click here to find out why JUST 13% OF THE WORLD’S OCEANS CAN BE CLASSIFIED AS ‘WILDERNESS’.